Born after August 31, 1979? Have 3-4 original ensemble or stage works ready for publication? Ricordi Berlin just might be looking to collaborate with you! 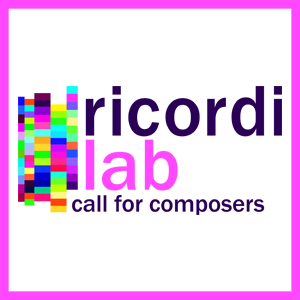 The Berlin outpost of legendary Italian publisher Casa Ricordi, famed for its support of Italian opera through its work with La Scala, Verdi, Puccini and many others, is now accepting applications for the second installment of Ricordilab, a three-year collaboration program with emerging composers. Successful applicants will have selected works published and distributed internationally by Ricordi Berlin, and will also have the opportunity to work with various performance groups throughout Germany. Applications will be accepted until January 15, 2019.